In addition to his clinical practice, Dr. Boody stays actively involved with research and medical education. He volunteers as an Assistant Professor of Clinical Orthopedic Surgery at Indiana University, educating orthopedic residents on spine pathology and spine surgery. In addition, Dr. Boody has authored numerous peer reviewed publications, served as a textbook section editor, and presented research at national symposiums. 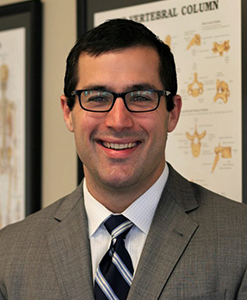 Currently, Dr. Boody is a co-investigator for multiple FDA trials conducted at the Indiana Spine Group. He also is a member of the editorial board for the Clinical Spine Surgery journal and is a manuscript reviewer for multiple peer-reviewed spine journals.